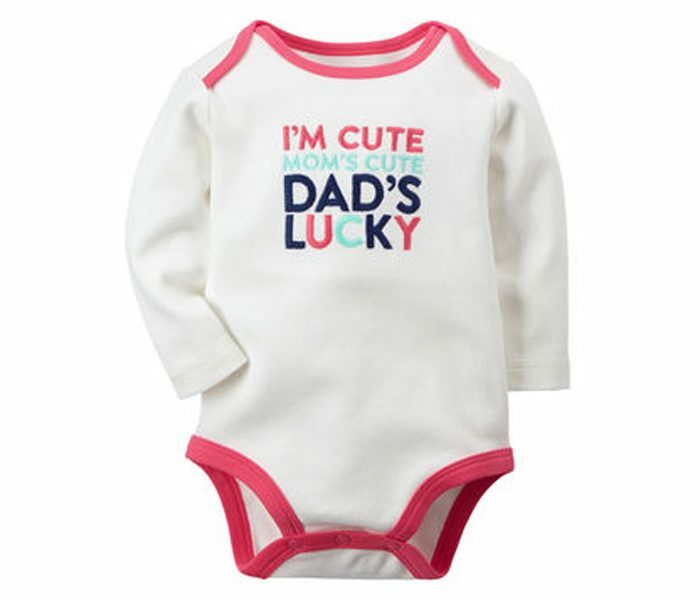 A super cool quote on the chest of the baby bodysuit saying " I am cute, mom's cute and dad's lucky" is a the highlight. 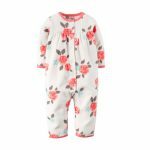 While the plush pink o-neckline and pink cuffed leg opening gives the cute dress a perfect finish! 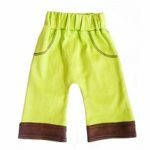 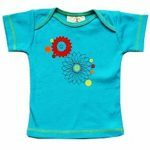 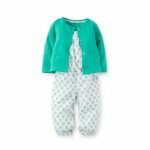 In long sleeves this warm and comfortable fabric will keep the little kid super active and fresh even for her long day adventure.